Hey folks, Valkor here with one more classic cartoon nugget for your enjoyment. Straight from the folks at Warner Home Video arrives the short-lived, and I do mean short series featuring Chuck Norris. 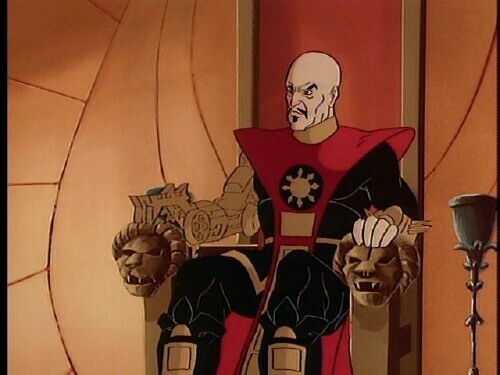 I bet most of you didn't know he even starred in his own cartoon. Check it out it's "Chuck Norris Karate Kommandos". Chuck Norris: Karate Kommandos is about an elite team known as The Karate Kommandos who are lead by Chuck Norris and specializes in battling against an evil organization known as VULTURE. 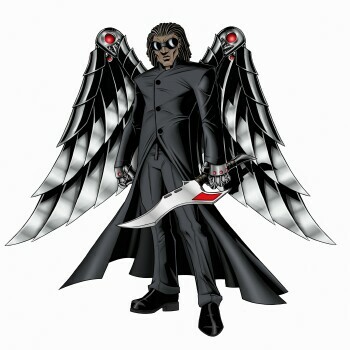 Lead by the Claw and his henchman Super Ninja, VULTURE will stop at nothing to try and rule the world. But at every step of the way the Kommandos stand in their path, making sure the world is safe. Making up the Kommandos are Pepper (tech expert), Reed (Chuck's apprentice), Tabe (sumo expert), Kimo (samurai warrior), and Too Much (??? ), who's catch phrase is the same as his name – no I am not kidding! 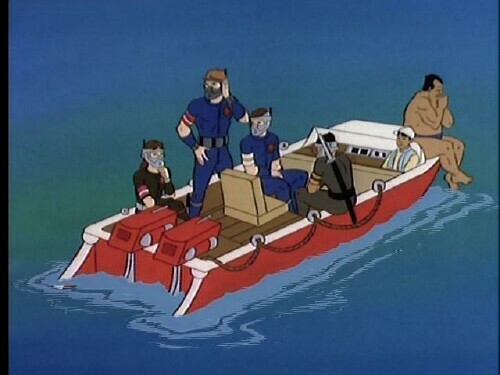 Deadly Dolphin - Chuck and Co go up against Super Ninja and a female operative called Angelfish as they kidnap Dr. Sanford and try to take over a sea lab. 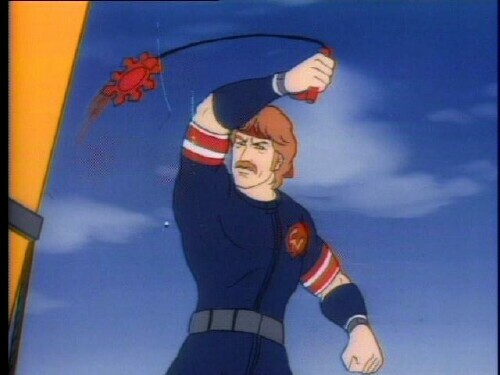 Target: Chuck Norris – Claw's men attempt to steal a computer chip belonging to NATO. 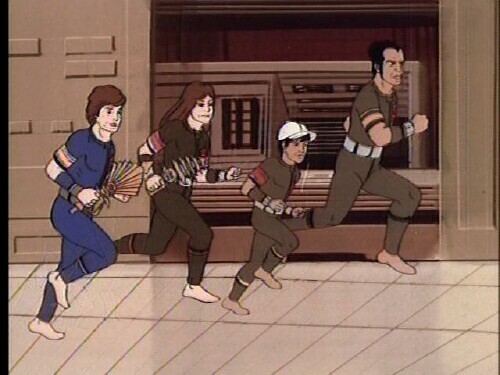 But When Chuck and the Kommandos stand in his way, Claw decides to put a bounty out on Chuck to the tune of three million dollars. Terror Train – The Kommandos are on point, guarding a robot laser. However Super Ninja shows up planting a bomb on the train. Not only does Norris have to protect the laser, but also save the passengers on the train from a fiery end. Menace From Space – Super Ninja and his henchman steal a space shuttle that holds a fusion cannon that Claw uses to hold the world's capital city hostage until his demands are met. And it's now up to Chuck to somehow get into space to put a stop to Claw's nefarious plans. Island of the Walking Dead – Claw and his men take down a U.S. satellite that lands on Voodoo Island, which is filled with the walking dead. Chuck and Co must brave this nightmare in order to recover the satellite to stop Claw once and for all. No further extras are contained on the disc, but it would have been cool had they tossed in some commercials of the action figures and comic books. And with that let's karate chop our way through the TOV Breakdown. 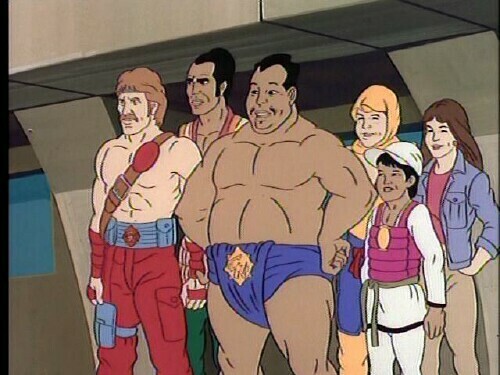 As far as 80's cartoons go, Karate Kommandos isn't all that bad. What works the most is the action, which the series is thick with – from explosions, to fist fights, ninjas, lasers, and so much more, Karate Kommandos will certainly hold your attention. Sure the show is super cheesy and the dialogue is even cheesier, but overall it's a lot of fun. 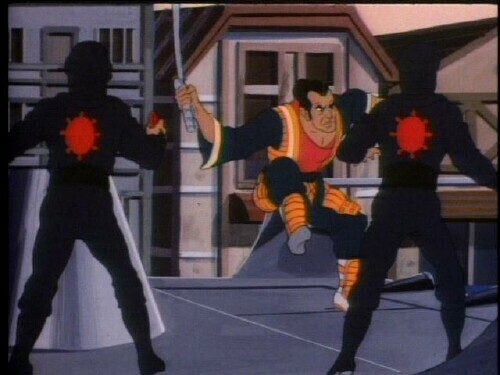 And as a bonus you get live-action Chuck teaching a life's lesson, which relates to the preceding cartoon. I felt that by the final episode the series caught its stride and you can see how all the actors were starting to get into it - especially Norris, who seemed rather stiff in the beginning. But alas, the series wasn't meant to be. Ok this is more nitpicky than anything else, but I find it sort of odd when live-action Chuck discusses the events in the cartoon - he talks about it as if it really happened to him or if he were there. I'm certain he's just playing a role, but even as a kid I found it just plain weird. And as an adult… even weirder. 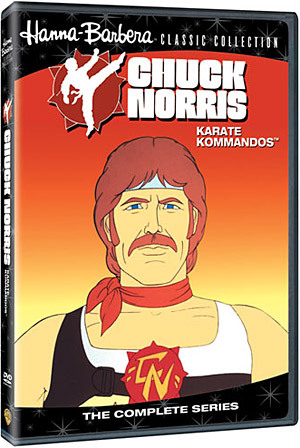 Chuck Norris: Karate Kommandos The Complete Series (all 5 episodes on one disc) will makes its debut May 16th and if you're a fan of 80's cartoons then you'll certainly enjoy this set. Though it's rather short, it's action-packed and whole lot of fun. 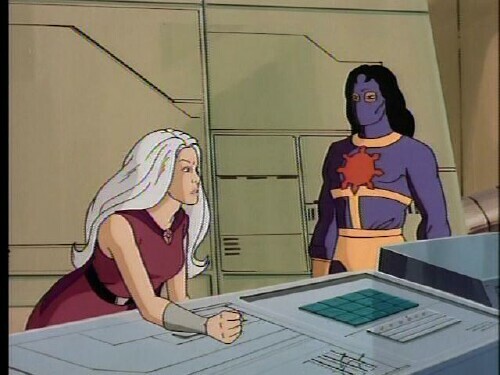 Out of TOV 5 stars, I give the Karate Kommandos a 3 and it's Valkor viewed, TOV Approved. The Bad: Did the events really happen? Naaaaah!